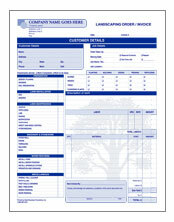 Here you will find a sumary of different types of businesses forms that we have already designed for your use. 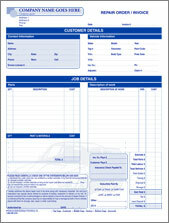 Any design can be customized to add your business information. 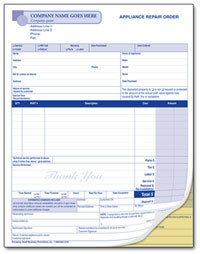 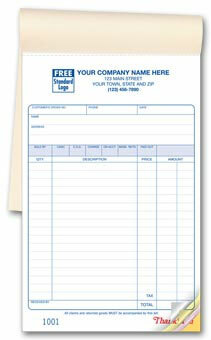 We produce high quality forms and invoices printed on 20 lb NCR Superior carbonless paper. 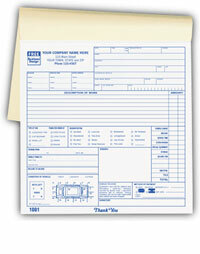 We feel it is the highest quality NCR paper on the market. 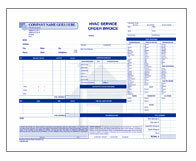 We focus on general forms, service and repair forms, receipt books etc. 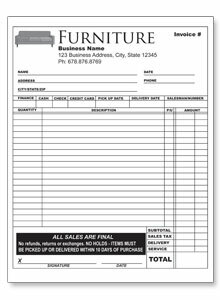 Personalize your invoices by adding your logo, company name, telephone and other important information to one of our many templates that we have already created for you. 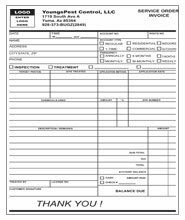 Search for your form under the specific category, for example you would look under Service and Repair for Roofing Jobs Invoice, Carpet Cleaning Invoice, and Plumbing Repair Invoice. 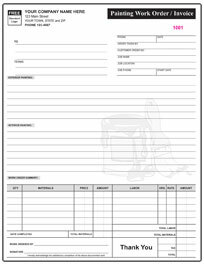 You can create your own fully customized form, scan a copy of the one you have currently or have us create a custom form from scratch. 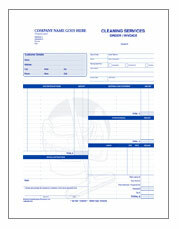 Note also that we can always change our templates to add or take away information as you see fit. 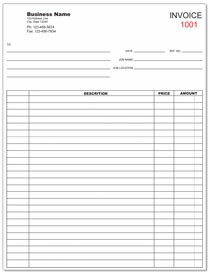 One color (Black Ink) litho invoice printing, 1 side , all parts print same on 20# standard color sequence,black image carbonless paper with edge glued construction without perforated stub. 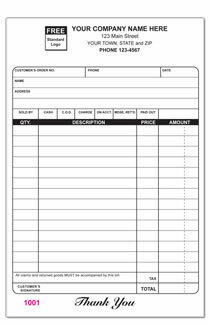 Most orders ship within 5 to 7 working days after receipt. 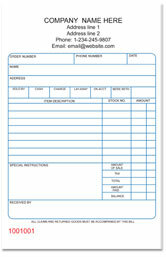 We can also print on the back of the forms. 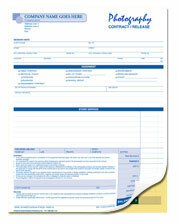 Allow us to take care of all your Business Forms Printing. 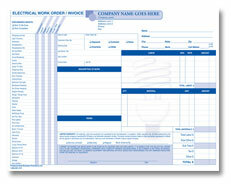 Also available by quotation: Other sizes, marginal words, short plys, static micro numbering, booking of sets, (stitched or GBC Plastic Spiral) with or without wrap-around cover, special papers (ta, ledger, etc), multiple numbers per sheet, right angle perforations.We also do custom invoices or forms that are specific to your business needs. 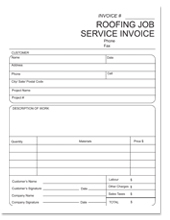 Find our invoice printing service in many large cities like Sacramento - Los Angeles California and Chicago Illinois. 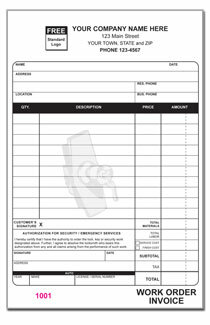 Add these prices to the base prices above. 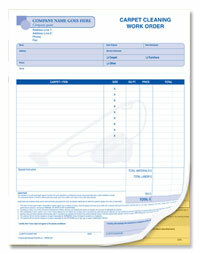 All prices are per 1,000 sets, except the 250 & 500 quantities which are priced per lot. 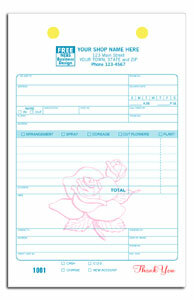 Up to 4 color & Process available, Call For Quote.